Get your party started, with all the lifts, spins & slides of salsa. Learn all the steps with a professional dance instructor to a fun routine that can be practiced for years to come. Salsa Dancing, the ultimate dance experience to guarantee lots of fun and laughter, and one of the best dances to learn to get your party started, with all the lifts, spins & slides of salsa. Learn all the steps with a professional dance instructor to a fun routine that can be practiced for years to come. Or better still, combine this dance class with the Stags and learn the routine together so when the wedding reception comes around you can all take to the dance floor and amaze your friends and family and show off what you have learnt. 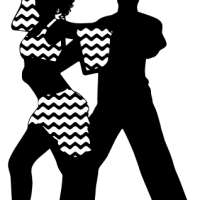 Salsa classes are designed to be fun and are guaranteed to leave your party laughing. Wear soft flat shoes & comfortable clothing.